There’s a strong argument to be made for not expressing every single thought that one has on every single topic. Having a right does not mean one *should* exercise it unjudiciously. Productive discourse is civil discourse, and this requires articulating oneself with tact—that inevitably involves some self-censorship. 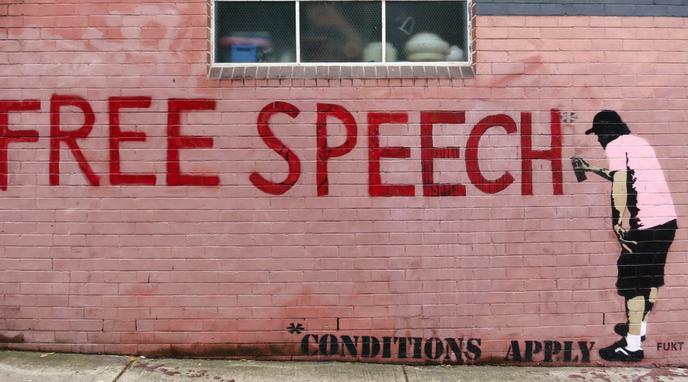 Encouraging the judicious use of self-censorship can improve the tenor of public discourse. Moderate self-censorship can prevent unnecessary conflict and confrontation that can otherwise quickly get out of hand. Glamorizing self-censorship can aid or produce a climate of social fear, and obfuscate important obvious truths. Self-censorship preempts individuals from sharpening their ideas and developing their capacity for debate. Teaching people to self-censor creates a stunted public discourse.